Slywave (Sir Sly + Joywave) Takes Over the QC Reviewed by Keely Caulder on October 26, 2018 . 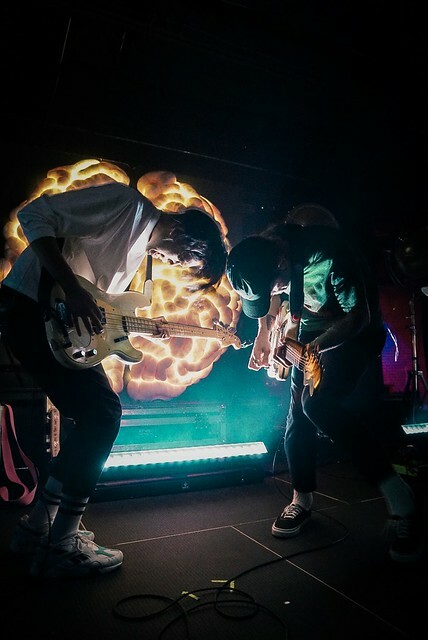 Two of alternative’s most talented up and coming bands, Sir Sly and Joywave, played a sold out show at The Underground Wednesday night. Joining forces, the two bands divided and conquered Charlotte. 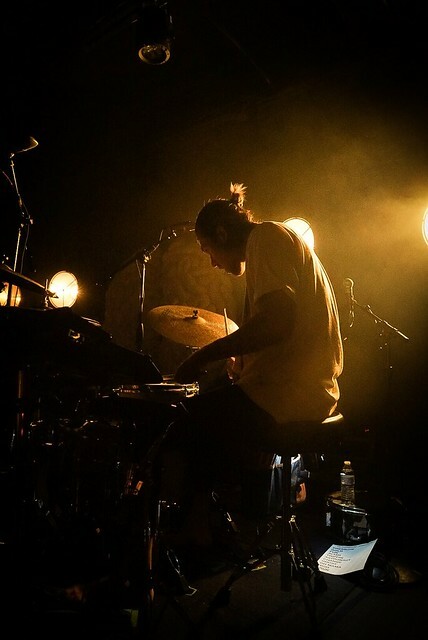 Having played Charlotte this past summer together while on tour with Thirty Seconds to Mars, fans of the bands were delighted to have the iconic duo back in the queen city for their An Evening With Sir Sly and Joywave tour. 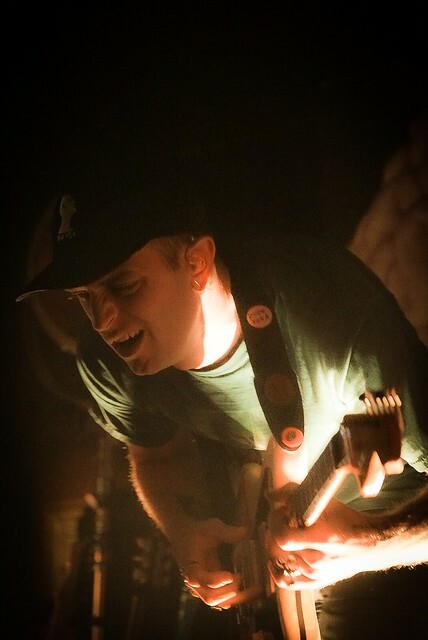 Sir Sly joined together in 2012. Hustling hard in Los Angeles, the trio, consisting of Landon Jacobs (lead vocals), Hayden Coplen (drums) , and Jason Suwito (multi-instrumentalist), released their debut album You Haunt Me in 2014. Using their sophomore album, Don’t You Worry, Honey as a way to cope with and experience fear and anxiety, Sir Sly created music that turned their bottled emotions and feelings into energy. 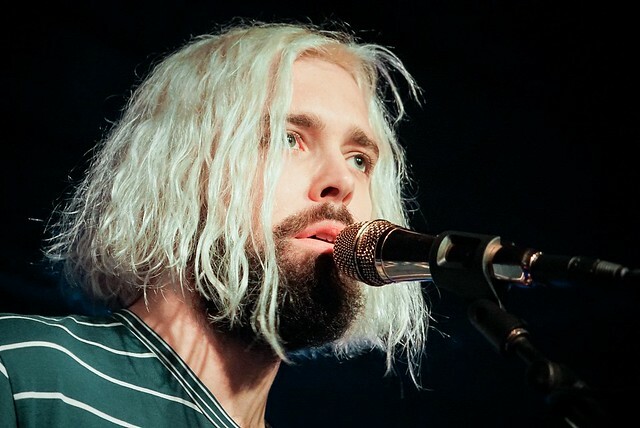 Finding inspiration through the tough times they were going through individually and as a band, they were able to evolve as a group and produce what was arguably one of 2017’s best alternative albums. 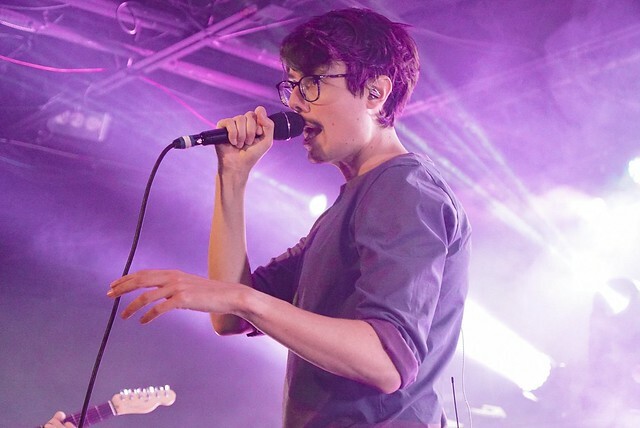 Joywave skyrocketed into fame with the release of their feature on “Dangerous” with Big Data in 2013. 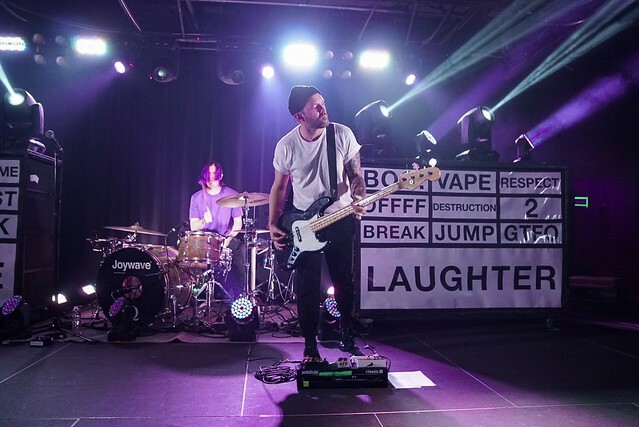 Reaching number one on Billboard’s Alternative song chart, the group of friends from Rochester, New York were humbled and only continued to gain notability from then on. After releasing their fifth album, Content the band has continued to work hard in order to spread their music. 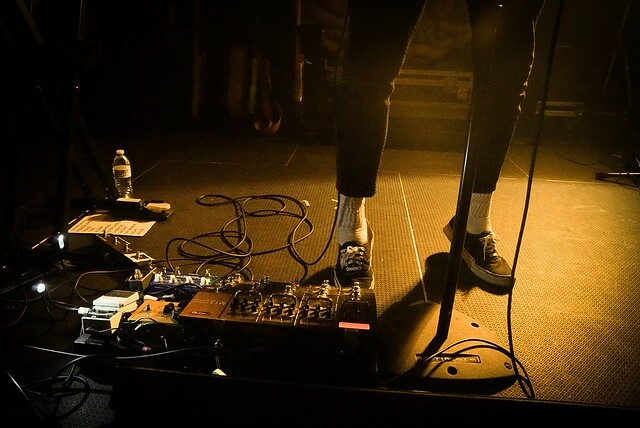 Making indie rock music for the masses and touring with bands such as Young the Giant, Cold War Kids, and Thirty Seconds to Mars Joywave has pleased millions while creating music they love. 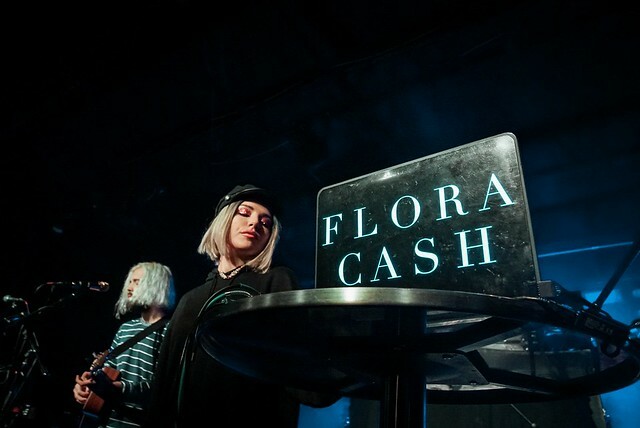 Composed of husband and wife duo, Cole Randall and Shpresa Lleshaj create peaceful harmonies with a strong acoustic guitar backbone and heavy electronic bass to form what is Flora Cash. ½ Swedish and the other American, Shpresa instantly fell in love with Randall’s talent after hearing his music on Soundcloud. As long distance friends, the two connected online and eventually met in Randall’s hometown of Minneapolis. Gaining the attention of RCA records with the release of “You’re Somebody else” this June, the duo was signed and quickly booked on tour. 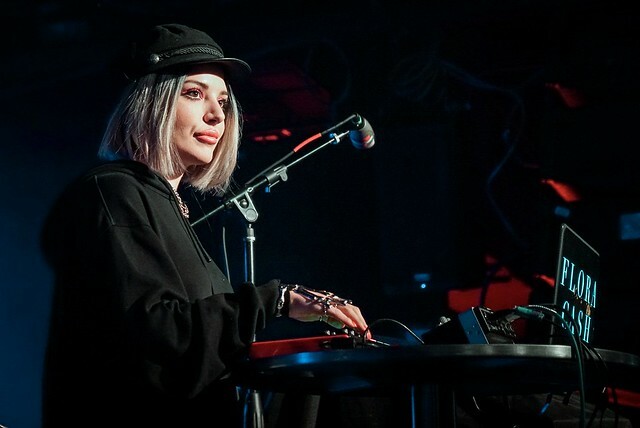 Supporting Sir Sly and Joywave, I was immediately blown away by Flora Cash’s chemistry and talent. Their music consisted of the perfect combination of folk and pop making for a clean and effortless sound. Opening, they created a community atmosphere telling jokes, teaching the audience Swedish, and interacting with the crowd. A highlight of their set was when their sound cut off before they were scheduled to play “You’re Somebody Else”. 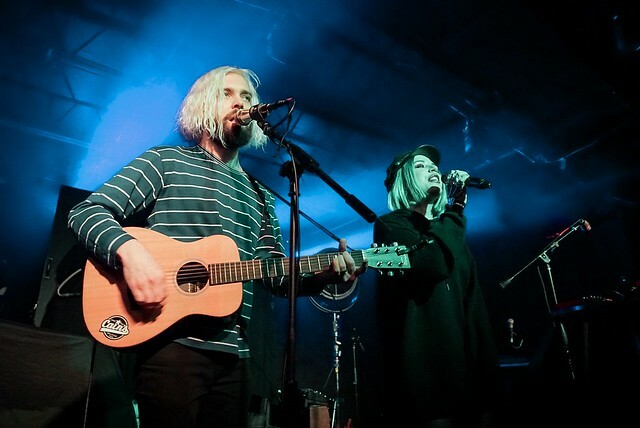 As a quick solution, Flora Cash played the song acoustic, ending their set with goosebumps. Whether you know them from their smash hit “High” or their insane festival sets, Sir Sly is not a band to sleep on. The band opened their eleven song set with “Welcome the Pressure” an unreleased song filled with rock influence and upbeat synth. 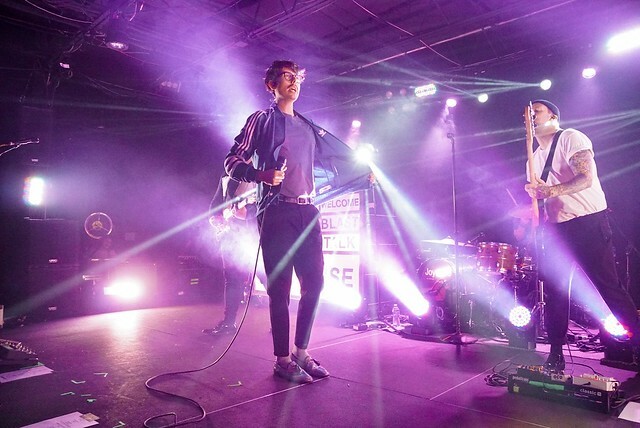 Having played Charlotte a few times before their headlining show on Wednesday, the band mentioned that one of their previous gigs in Charlotte was with the 1975. Their stage was set with minimal lighting (a photographer’s nightmare) and a giant illuminated brain. Playing songs off both albums, the band pleased old and new fans. One of my favorite quotes of the night was from a lady in the back who screamed “I know this song because I’m old and I love your old music!”. Humbled by each fan that helped to sell out the show, lead singer, Jacobs asked to speak his peace for just five minutes. He then quickly began to tell a short summary of his life story, talking about his divorce with his wife six years ago, his mother’s battle with brain cancer that led to her death, and how important the band was in his coping. Jacobs told the audience “Thanks to these guys, I’m still alive today. And because of music, I have a purpose in life.” He then dedicated to “Oh Mama” to his mom as each heart in the Underground broke just a little. Lifting the mood back up after “Oh Mama”, Jacobs declared “My mom loved to sing and talk, but she also loved to party. Are you ready to party with us? Smoke em if you got em!”. Diving into “High”, the synth and drum beat that we all love and know so well was queued. This was easily the biggest sing along of the night. Even Joywave fans knew the words. For their last song, Sir Sly played “&Run”, yet another major bop by the band. 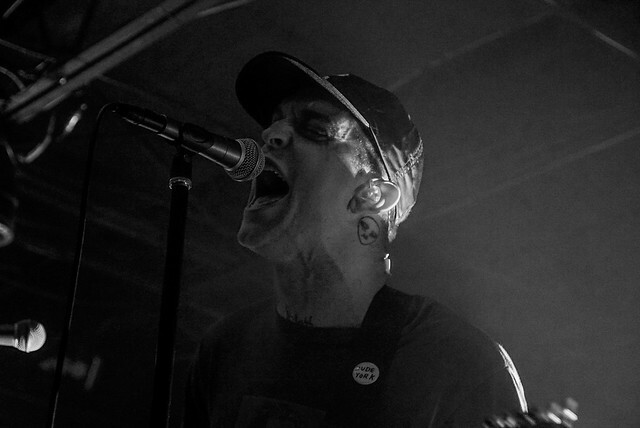 Almost instantly, it became evident that performance is inside lead singer, Daniel Armbruster’s blood. Opening with their latest single “Blastoff”, they captivated the audience in no time. Having seen Joywave one time before, I must admit that I liked them even better the second time. I’m not sure if it was because of their accumulated experience in performing since that has helped, or because of the club setting, but I was pleasantly surprised. 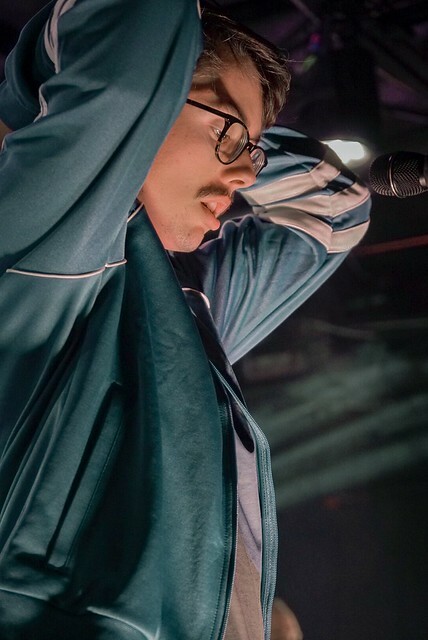 Three songs in, Joywave played “It’s A Trip!” as Armbruster paced around the stage wide eyed and high on the energy from fans. Armbruster’s dramatic facial expressions helped to tell the story of the song as the band jumped from verse to chorus. 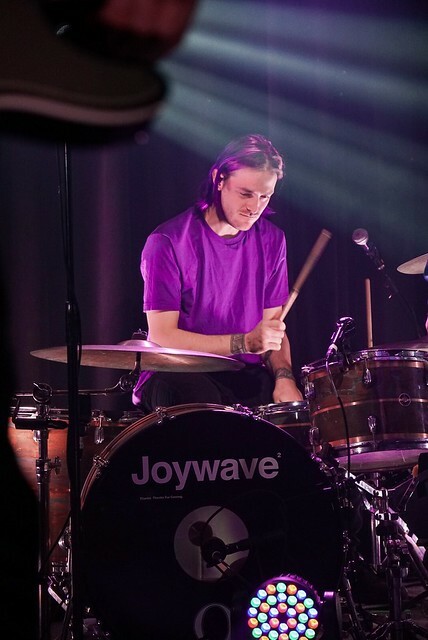 Getting intimate with fans and interacting with them throughout the night it became evident how much Joywave truly cares about their fans. 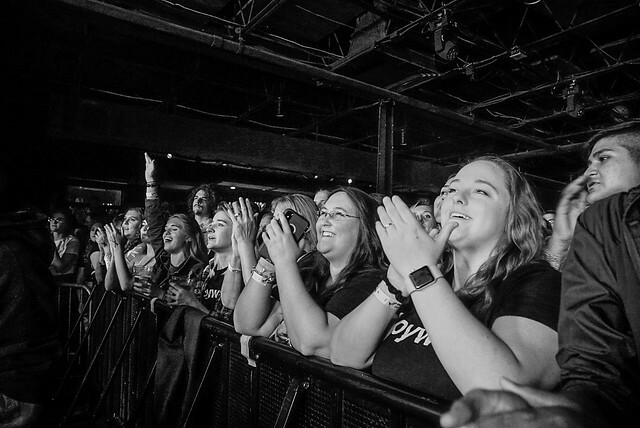 Whether it was giving fistbumps, replying to their comments, or curating a setlist to the liking of their fans, everyone was able to connect with the band. Saving “Tongues” (Joywave’s biggest hit) for second to last, there became a quick party sensation. With the first beat of the drums, everyone in the house knew what was about to go down. Finally, ending on Destruction, a maliciously chilling song, the build up to the chorus had everyone hyped and ready to dance all they had left in them for the last song. 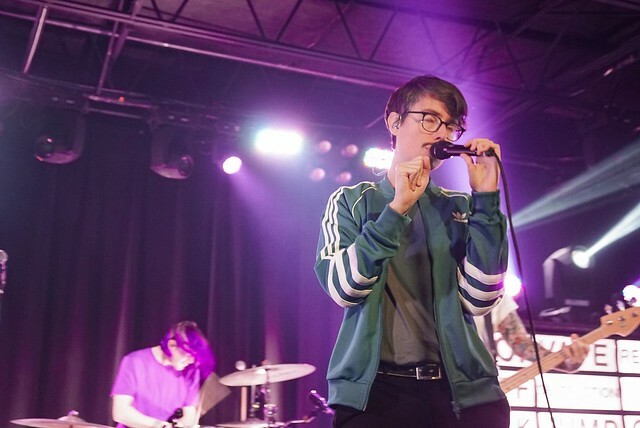 As Joywave left the stage, it became obvious that Joywave would be back soon, Charlotte had left too good of a mark. After attending a Sir Sly and Joywave’s co-headlining tour, I can confirm that this dynamic duo is a musical match made in heaven. Don’t miss out on this tour. Sir Sly’s music perfectly compliments Joywave’s and vice versa. If you are a fan of one, you’ll likely be a fan of the other. Selling out shows across the country, the two bands aren’t likely to be playing shows this size for long. In fact, we can see bigger headlining shows in their future.